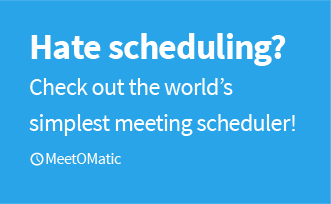 Setting up a meeting with MeetOMatic really is as easy as 1, 2, 3! 3. 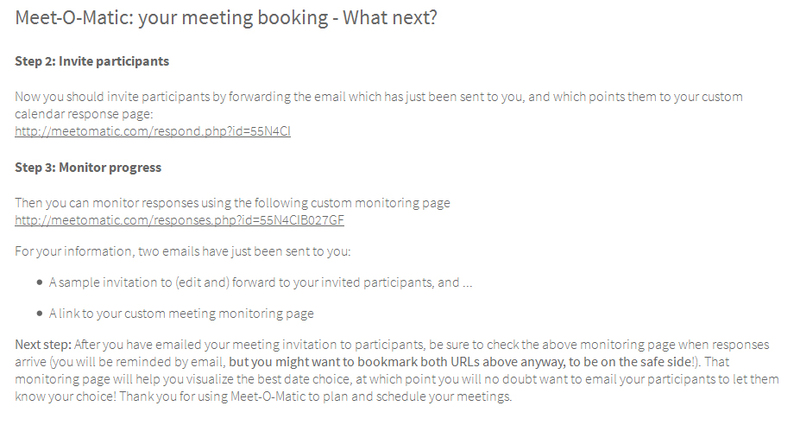 When everyone has responded, MeetOMatic will ‘rank’ the responses to show you which date is the most suitable for your meeting. 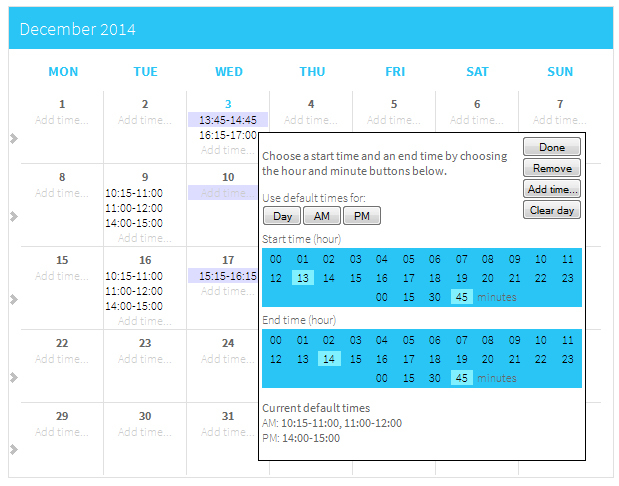 You then let each participant know which date is the most suitable! You can choose “VIP” participants if some absolutely has to be there, and if you’re organising a really large event, you can export the responses to Excel, CSV or ICS formats for easy integration with your calendar!